What is an audiophile? If the finer points of high quality sound mean more to you than the average person, you just may be an audiophile. Whether this pertains to you or someone you know, the fact is that the number of audiophiles out there is quickly growing, and the equipment used to satisfy that high fidelity (“hifi”) listening they unequivocally seek is becoming more readily accessible. While it’s true that many of these high quality sound products can cost a pretty penny, not all are necessarily priced for the sky. So, what are some of those more affordable wares and even great, low-cost gift ideas for that audiophile close to you? Follow along as we highlight the top 10 best choices today that won’t leave you broke or disappointed. With a sleek and refined look, the Hiearcool L1 provides rich a detailed sound experience. 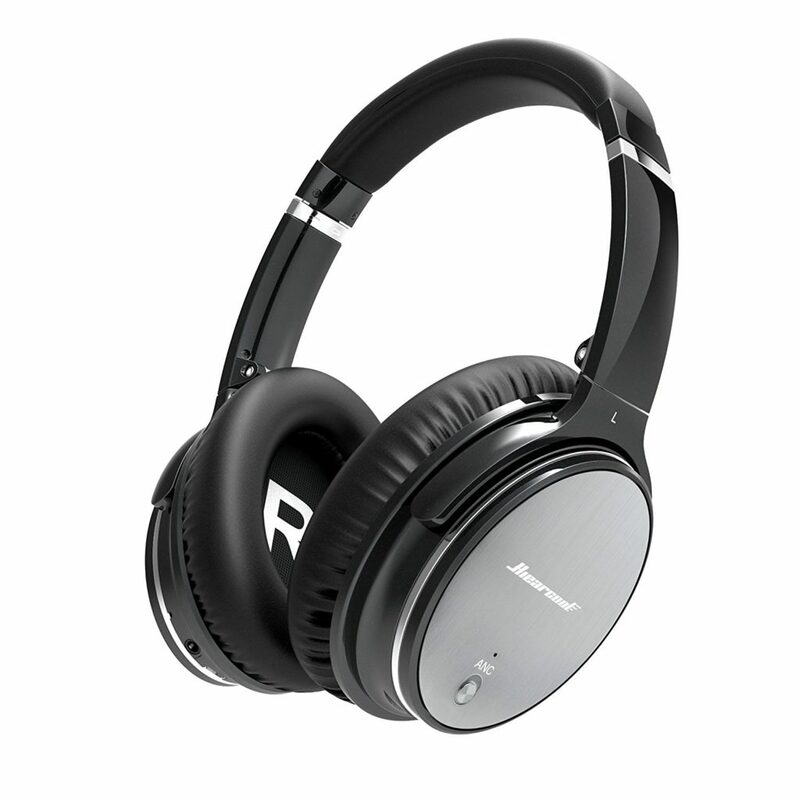 Effective active noise reduction coupled with large-aperture drivers makes any track come to life with this relatively low-cost hifi headset. Comfortable muffs, multi-device function, and a super-convenient, 90-degree swivel make things even sweeter. 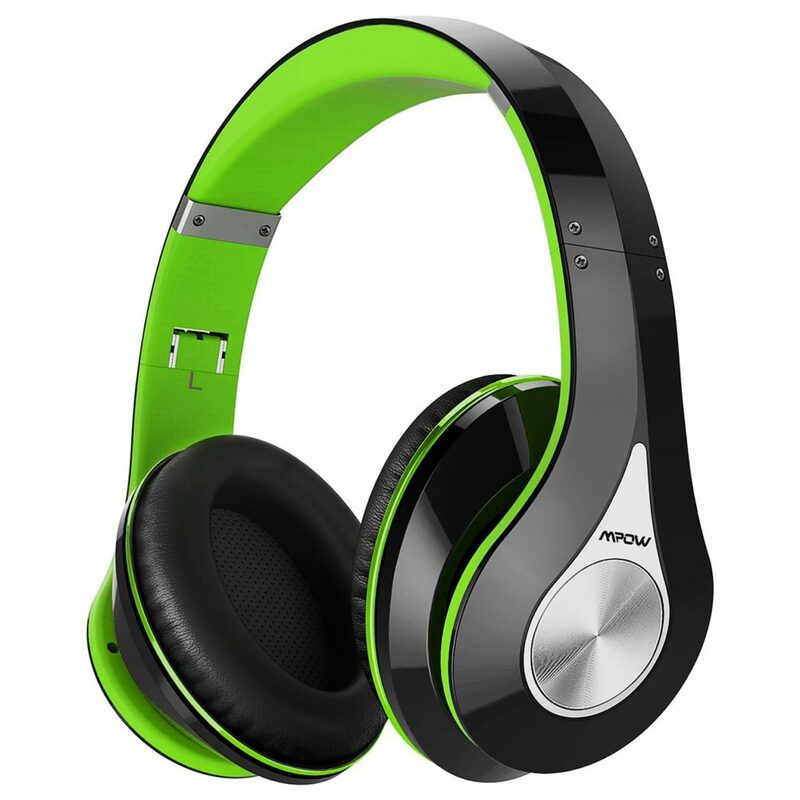 For those seeking wireless and wired capability all in one affordable headphones package, Mpow’s Bluetooth Headphones do a great job. Not just for listening, this setup comes equipped with an on-board microphone. Take calls, listen to music, your favorite YouTube videos, and more. Choose from four vibrant colors and enjoy some audiophile-approved sound on the cheap. For the ultimate sound in home entertainment systems, fiber optic cables are a must. The KabelDirekt Optical Digital Audio Cable is the perfect solution and perfect low-cost gift for audiophile connoisseurs. 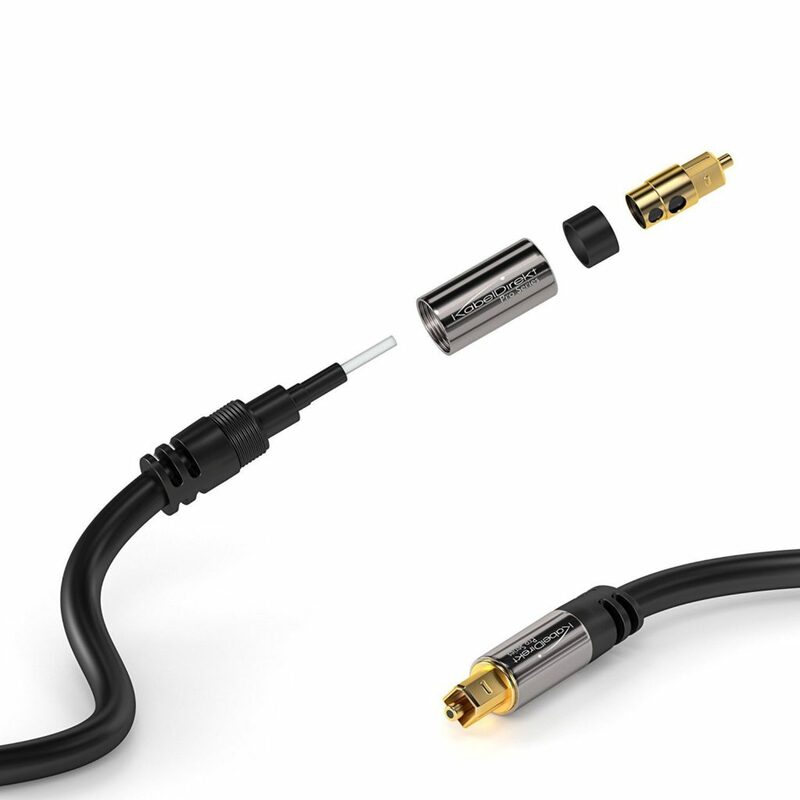 At 10-feet long and composed of high quality materials, gold-plated connections, and a heavy-duty protective jacket, any speaker system will benefit greatly from this component. Plug and play, and let the high quality sound take you away. 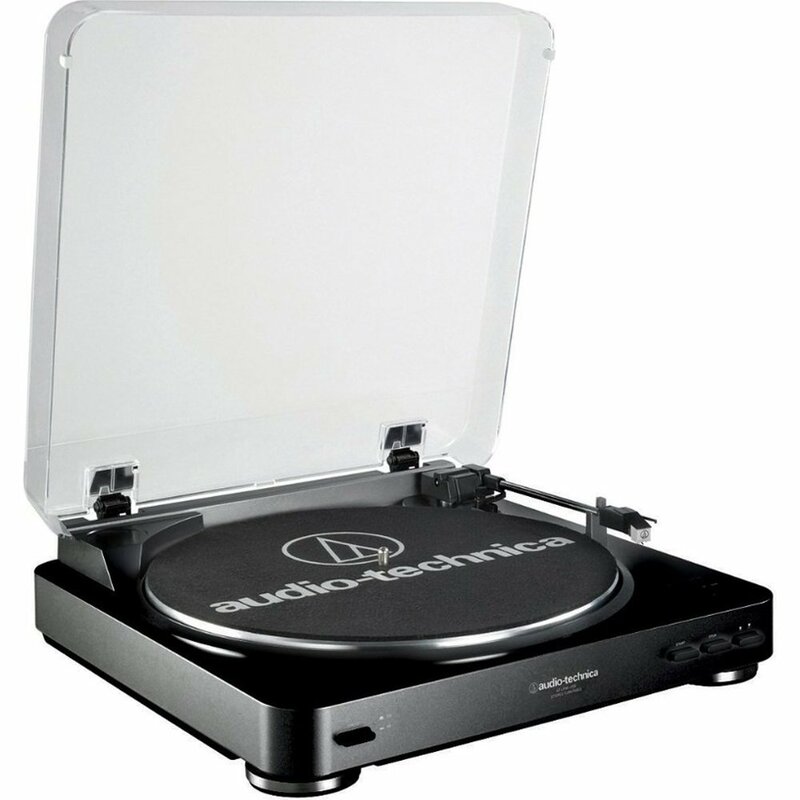 The ultimate hands-on addition to any audiophile’s setup, the Audio-Technica AT-LP60 is an automated turntable capable of some fantastic sound, and at a surprisingly low cost. Enjoy direct connectability to your computer, universal record size playability, and a nice signal-to-noise ration. Even better, the unit comes prepackaged with a complimentary cleaning set, saving on future, separate purchase needs; not bad for a cheap turntable come checkout time. Next on our list of great yet cheap gifts for audiophiles is the Monoprice 602650 Microphone Isolation Shield. For those wanting a pro-like recording experience, this piece of entirely affordable recording equipment will make recording a blast. 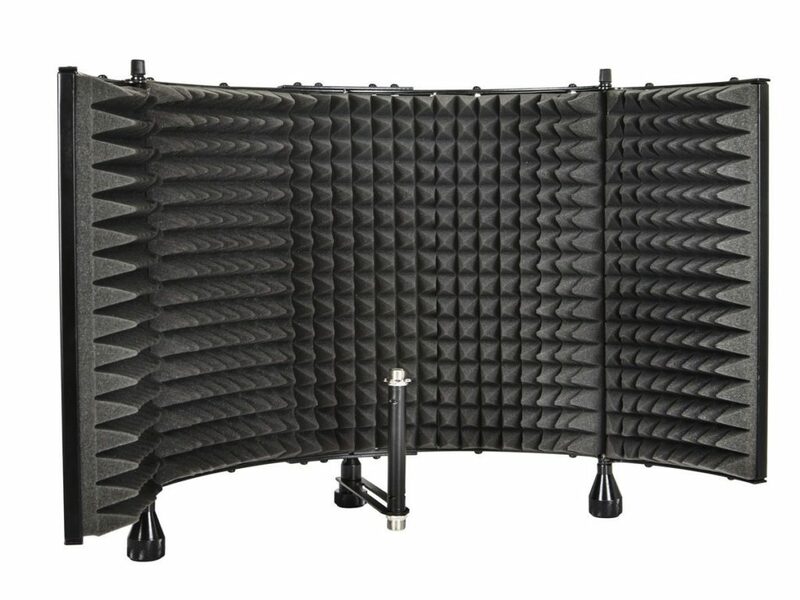 Some great features here include high quality noise filtration, a trustworthy stand system, quality materials, and a spread that allows plenty of room to work with various microphones and other equipment. 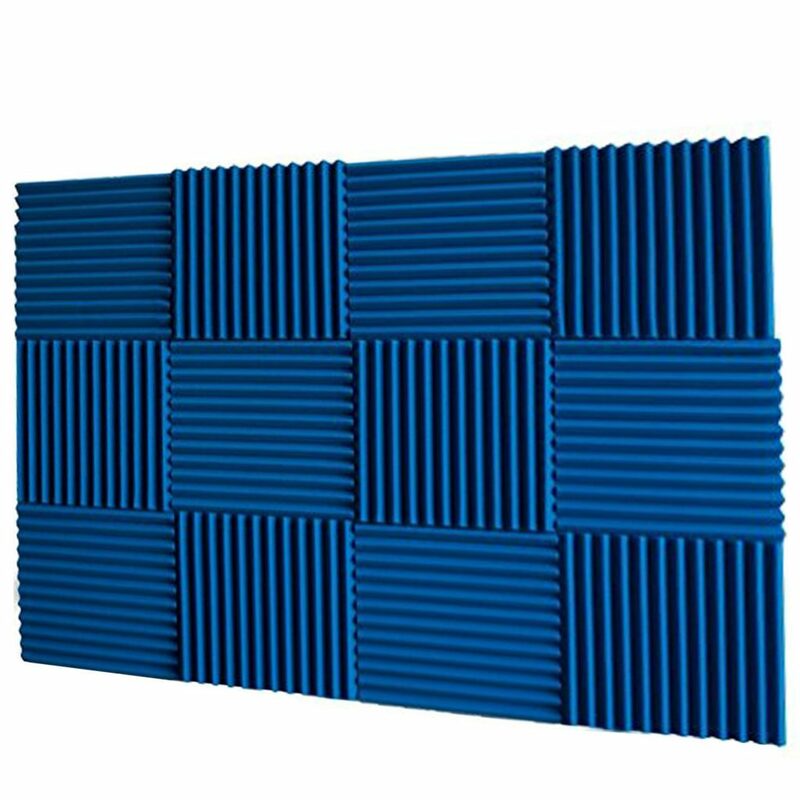 Another great option among our findings of affordable gifts for audiophiles comes by way of that signature complement to all professional sound studios with which we’re all vaguely familiar – pro-grade acoustic wall panels. Now, you can get this awesome sound component for cheap, in 12-count pro packs. Each panel is made of quality materials and has a 12″ square footprint. Many colors are available. With a rare 100% five star rating on Amazon, this wireless speaker offered in a sophisticated silver grey is the perfect gift for an audiophile living in small space. The Lithium battery lasts between 20 and 40 hours, provides a listening range of up to ten meters, and supports a built-in microphone. 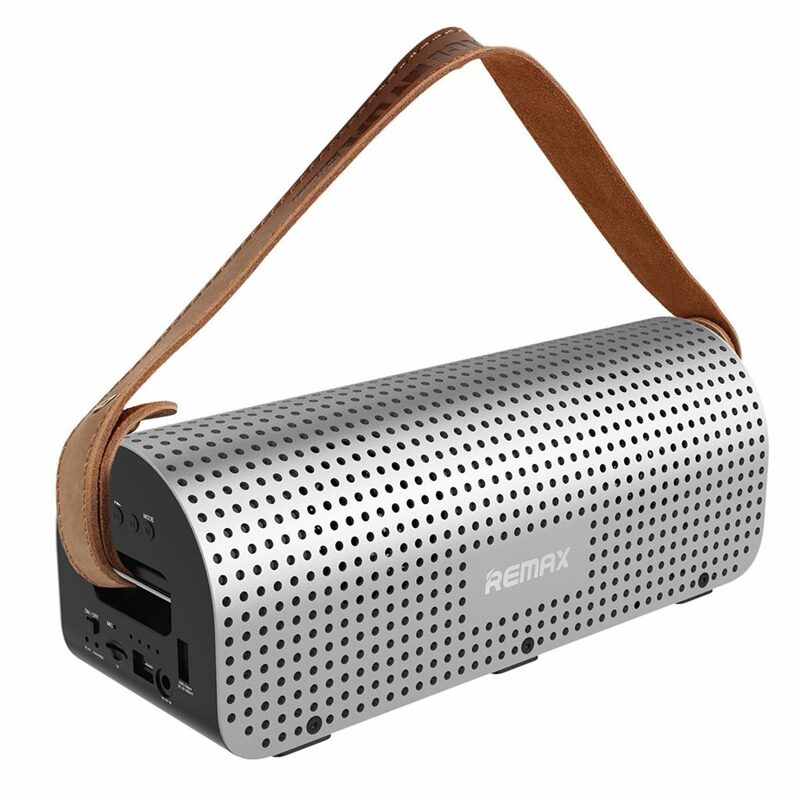 This affordable wireless Bluetooth speaker is compatible with both Android and IOS system devices, and is smart enough to automatically connect to the last device used. 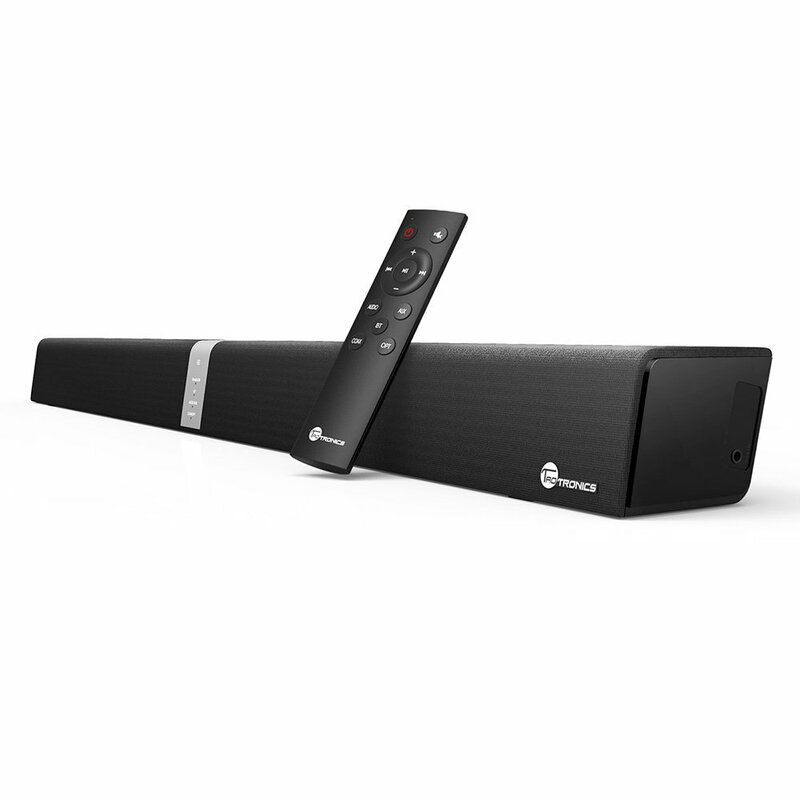 The TaoTronics Sound Bar is a fantastic addition to preexisting, expensive, mid-range, and cheap speaker systems alike. If corded connections are required, this unit is capable. If the Bluetooth wireless experience is more the goal, this unit does that too. Enjoy high quality sound production, 40 watts of power, touch and remote control capability, and a low-profile look. Most audiophiles don’t want restrictions. 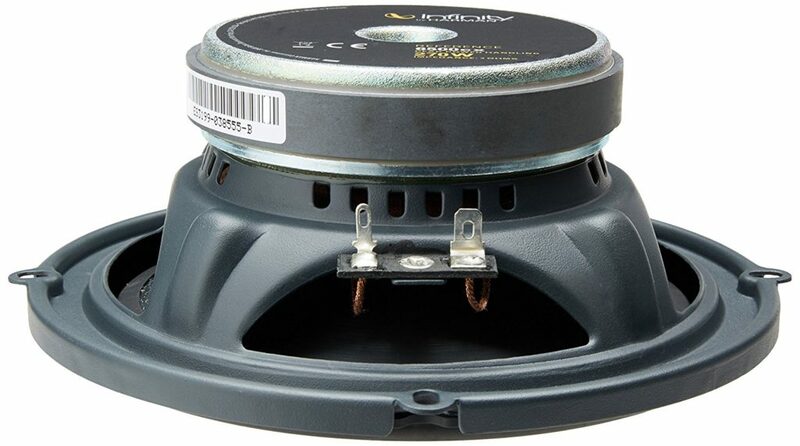 In agreement with that proposition is Infinity with this great set of 6-1/2″ car speakers. Each speaker is rated at 270 watts peak and 90 watts RMS, with a tweeter size of 1″. Without breaking the bank, the sound quality produced here provides plenty of audiophile fulfillment each and every time it’s powered up. 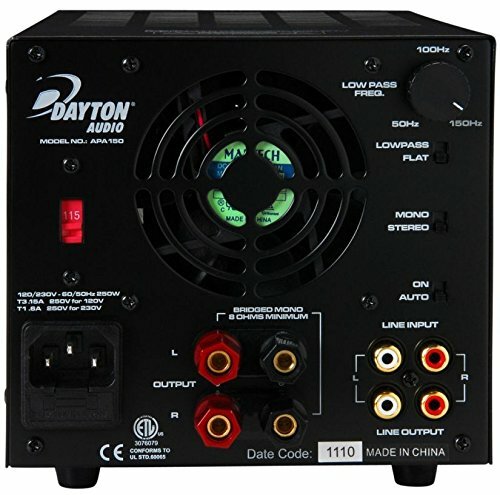 The final spot on our list of great and simultaneously cheap gifts for audiophiles goes to Dayton Audio with its impressive yet highly affordable, 150-watt power amplifier. Its sleek, low-profile design assures its fit anywhere while its output power can simultaneously fuel the absolute richest of sound experiences. Gold plated binding posts, adjustable crossover, and a stay-cool, stay-quiet transistor also help seal the deal for us on this one.